Whatever gets their little feet kicking and wriggling, keep them covered with our Logo Low Cut socks for bubs. 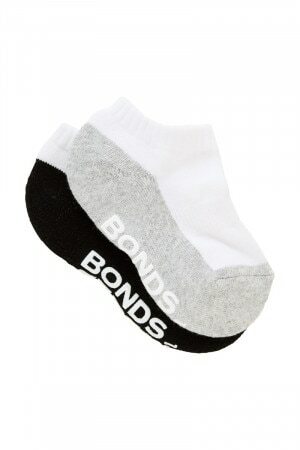 This set of two low cut socks are made from soft natural cotton for comfort and breathability. They have arch support to keep socks in place, fine toe seams to reduce irritation and half terry fabric so little toes can feel extra cushioned and comfy.